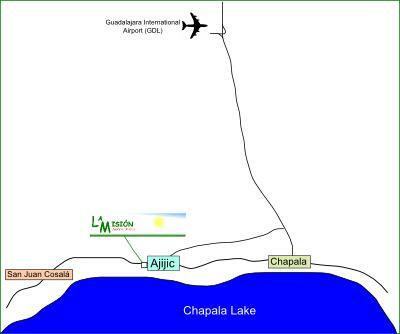 Where is Ajijic (Lake Chapala)? 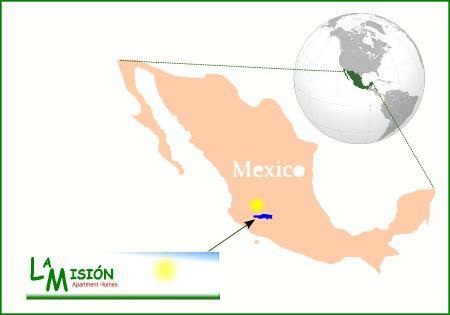 Ajijic is located in the state of Jalisco is only 35 minutes from Guadalajara International Airport and 55 minutes to Guadalajara (2nd Larget city in Mexico with any service/shopping you might need, most US and many european franchises and stores have outlets in Guadlajara). There are two main municipalities on the north shore of Lake Chapala, Chapala and Jocotepec. The village of Ajijic, is within the municipality of Chapala. Population estimates vary but it is estimated that there are about 65,000 residents living in the Chapala-Ajijic area, probably 30,000 are Americans or Canadians. Drive off the airport, take exit to Chapala, Drive in route to Chapala, before arriving to Chapala take exit to Ajijic, drive on these road (libramiento) up to Walmart, then turn right, drive across La Floresta (large trees at the highway), across Ajijic town, 1 mile ahead see Ajijic's Cementery at left, 500 feet ahead turn left at "Villa Lucerna" sign, drive 300 ft, then make a small deviation left and inmediatly right again (like going to the lake), Drive 400 feet then turn right at a small private street, drive 200 ft, arrive at right (white gate). Prices, availability and coupons are subject to change. 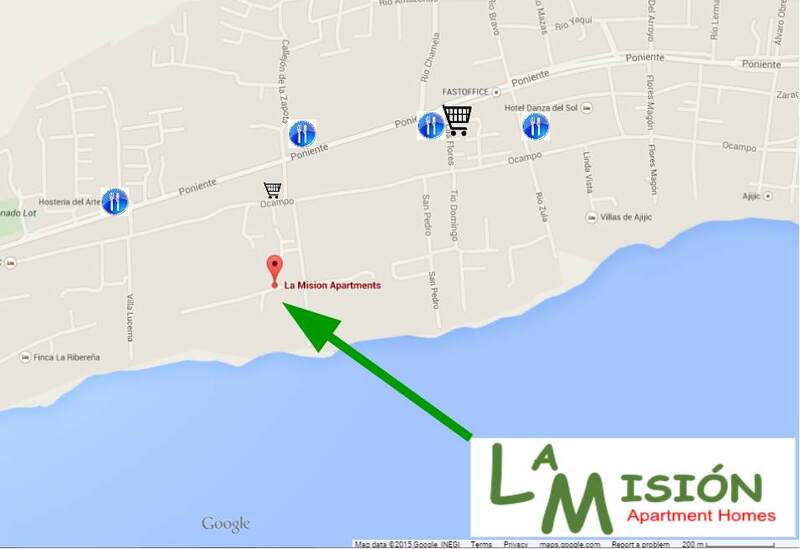 La Mision Apartment rentals, the best place to live in Ajijic!